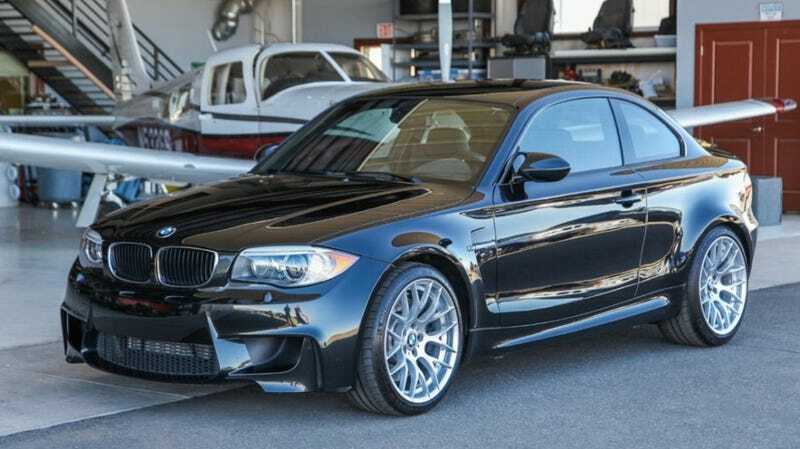 Anybody could have called the BMW 1M as a future classic, but that future came quicker than I expected. The car’s only seven years old but it’s already trading way above its original MSRP. This one’s not even perfect and it cost more than a 2018 BMW M2. Car enthusiasts spend a lot of time thinking about which cars will be historic and which will be forgotten. To some extent, it’s a self-fulfilling prophesy–when the community collectively decides that a vehicle will be “worth something someday” articles and forum posts and blogs saying so get referenced later when values are established. But of course, cars typically have to actually be good in the first place to warrant that kind of speculation. And the 1M has always been a hard proposition to argue with: rear-wheel drive, limited slip rear differential, traditional manual transmission, inline six-cylinder engine... objectively, it’s pretty much perfect. And the thing’s even a little bit practical. Combine that with the cachet of being discontinued and, yeah, I guess it makes sense that these are worth serious money. Still, I have to admit that I didn’t expect a 2011 1M (MSRP around $49,000) with a year’s worth of mileage and a few city living scuffs to sell for as much as $62,500 when a 2018 BMW M2 can theoretically be had for about $55,000. And as I’m poking around for other 1Ms for sale, folks are telling me similarly low-mileage examples have sold for even more. Does this mean that the BMW M2 is another safe automotive investment? I’m not sure yet. I’ll tell you what though–if you’ve got an E46 M3 right now, I’d take very good care of it if I were you.